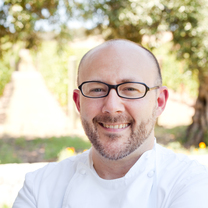 Chef Humphries latest project is the Kitchen Door, Napa. 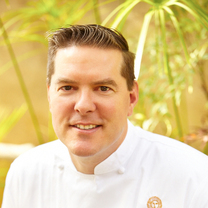 Prior, he served as the executive chef of the Culinary Institute of America Wine Spectator Greystone Restaurant before opening Martini House in St. Helena with Miyashiro, who was also instrumental in the development of Boulevard, Farallon and Jardinière, three of San Francisco's most notable restaurants. 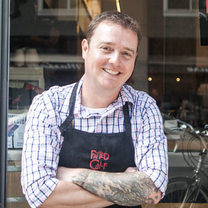 "Todd Humphries is a crazy talented chef who brines, spit roasts and then crisps these wings in a wood oven and tops them with teriyaki and sesame seeds. They're amazing and addictive, and I'm always a little amazed at how many I can put away."